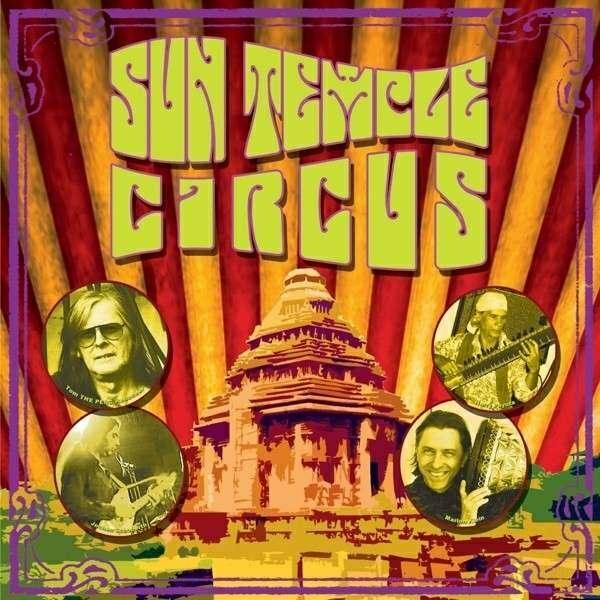 Sun Temple Circus is the quartet of Tom “The Perc” Redecker on vocals, 12-string guitar and keyboards, Harry Payuta on bass, sitar and backing vocals, Marlon Klein on drums and percussion, and Jochen Schoberth on guitars. Founded in 2014, the band immediately went on tour, and this self-titled vinyl LP (hand numbered edition of 500) was recorded at the Lagerhaus in Bremen, Germany with guests Alpha Halley on keyboards and Uli Bosking on mandola. We’ve got an interesting variety across the album’s four tracks. Out of India is a trippy Indian raga accompanied by flowing spacey keys and a clattering but steadily driving and somewhat electro propulsive rhythmic pace. Finishing out Side A is the 10 minute Lighthouse, which starts off with sitar, electric guitar and synth noodling about. But when the acoustic guitar starts to strum and Redecker’s vocals kick into song the band find their groove. And what we’ve got is a West Coast Psych styled Folk-Rock song with lots of free-wheeling rockin’ jamming. There’s a cool Airplane/Dead/Woodstock vibe throughout, and the solo sitar is a nice touch. Next up is Et Moi, Et Moi, Et Moi, which was originally a 1966 single for French singer/songwriter Jacques Dutronc. Sun Temple Circus are true to the spirit of the French sung original, though in place of the Freakbeat nature of Dutronc we’ve got a jamming Psych-Rock groove. Finally, the 14 minute Sun Madness is a Prog-Psych excursion with a tribal underpinning and swinging Funk grooves, but also an intensely hard driving Psychedelic onslaught that is simultaneously freeform jamming and theme focused. It’s mostly instrumental, though Redecker pops in from time to time with a slightly varying verse. There’s lots of ripping guitar soloing, but also cosmic keys that give some sections a Psychedelic Jazz flavor. Very nice. I’ll bet the shows on this tour varied a little from one night to the next.